Faber & Faber, 9780571192809, 216pp. 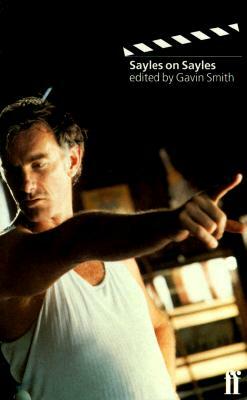 John Sayles is a filmmaker of many faces: the writer/director of authentically independent films rooted in good talk, character study and social reflection (The Return of the Secaucus Seven, Baby, It's You, Brother from Another Planet, Matewan, and Passion Fish). He has also crafted vibrant, sardonic projects for Roger Corman (Piranha, Alligator and The Lady in Red), as well as working as a screenwriter-for-hire (The Hollowing, Apollo 13). Recent films such as City of Hope and Lone Star exhibit his great gifts as he follows his characters' complex journeys towards self-honesty and personal truth. Twice nominated for an Academy Award for Best Original Screenplay, he has also written novels, short stories, a book on low-budget film-making, and created the television series Shannon's Deal. In Sayles on Sayles, Gavin Smith takes Sayles step by step through the trajectory of his career and film-making practice, and in the process illuminates the work of the one of the truly authentic US independent film-makers. Gavin Smith is a contributing editor to Film Comment.